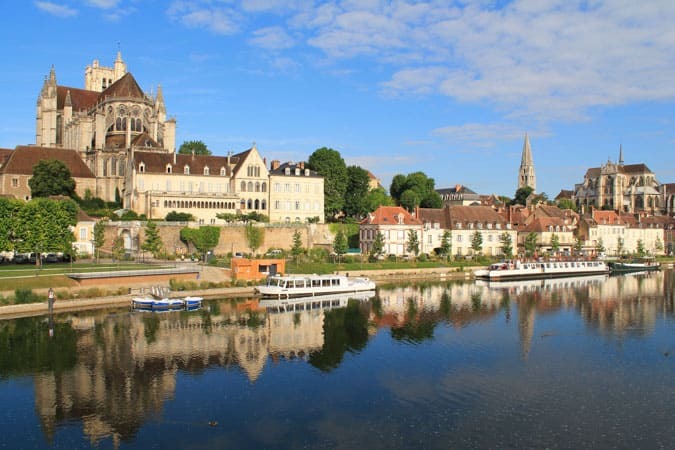 Auxerre, France is a town in the Burgundy region of France along the Yonne River and not to be confused with Auxerrois wine, even though the names are somewhat similar. How do you pronounce Auxerrois? Low acid with citrus notes, crisp apples, and fall fruit. What food do you pair with Auxerrois? Alsatian pizza, aka Flammekeuche, is a traditional appetizer in the Alsace region. This version is made Asian with the use of green onion and naan bread. 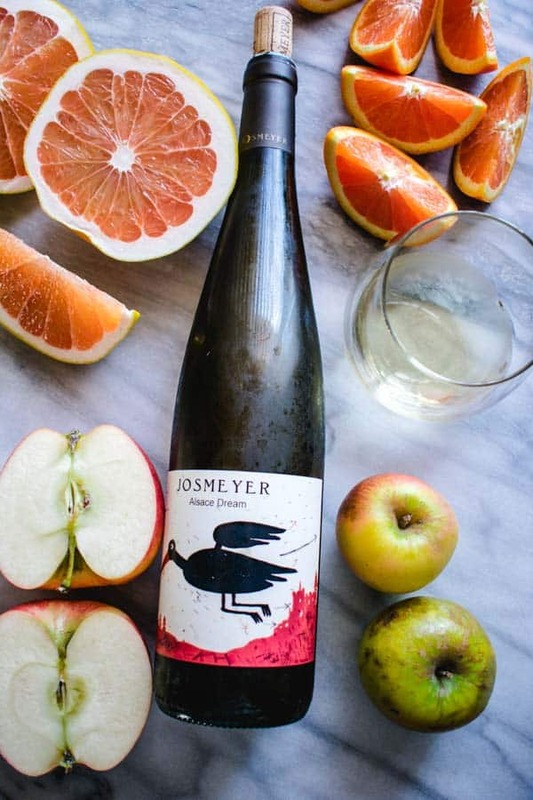 Josmeyer is a winery in the Alsace region of France. Established in 1941, it received the agriculture biologic certification in 2004, establishing it as a fully organic and biodynamic winery. As a biodynamic winery, they employ practices such as fertilizing the vines with tinctures of nettles, willow, and horsetail rather than using conventional pesticides that contain copper and sulphur. All of their wines are hand harvested with no additional yeast, sugar, or enzymes. For an organic, biodynamic, hand harvested wine from France, it is only $19. Per K&L wines, this wine was made specifically for the Quebec market. That makes sense considering that Auxerrois is also grown in British Columbia, Canada. The Alsace Dream is a blend of 90% Auxerrois, 8% Pinot Gris, and 2% Riesling. The is a light bodied, medium structured wine with a palette of creamy Bosc pear, grapefruit pith, and little sting of honey. High acidity up front and finished with a squeeze of fresh lemon. The specification sheet that was previously posted on the Josmeyer website recommended Flammenkeuche, a traditional Alsatian pizza of sorts. 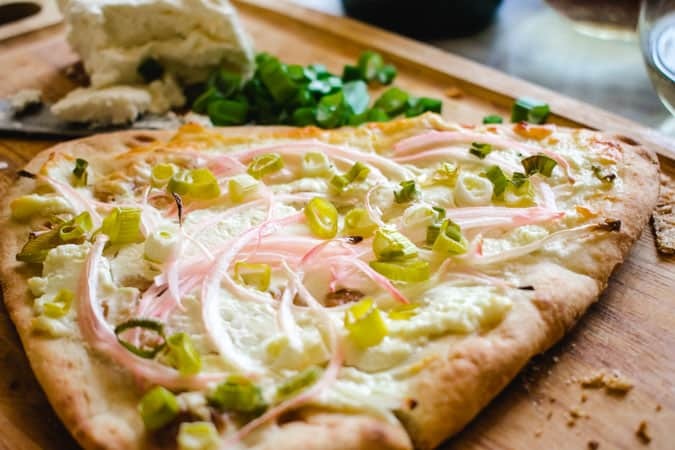 Made with fromage blanc, sliced white onions, and a thin, non-leavened crust, it is a white pizza that aptly pairs with a white wine from the same region. However, since we are not in France, we’re going to make the Alsatian pizza a little more Asian with this recipe. Auxerrois is like a unicorn in the wine world, but you actually do have a chance of seeing (and drinking) one, even if you’re not in Canada. 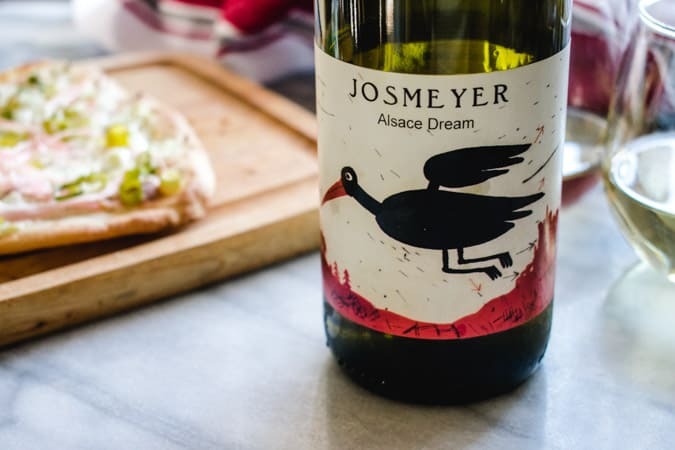 Auxerrois wine may be hard to find, but this Alsace Dream from Josmeyer winery makes is even more special, since it is a certified biodynamic and organic wine. P.S. Do you love unusual wines? Please spread the Asian ♥ and share!